GRAPE VARIETY: 60% Cabernet Sauvignon, 40% Merlot. SUGGESTED FOOD: to drink over red meats, little game and cheese. Traditional methods in stainless steel vats with temperature control (cold system). Cold maceration before fermentation (6°C); Very little crushing. Fermentation during 8 days and maceration during 4 weeks depending on the vintages, for the fruit’s fixation. 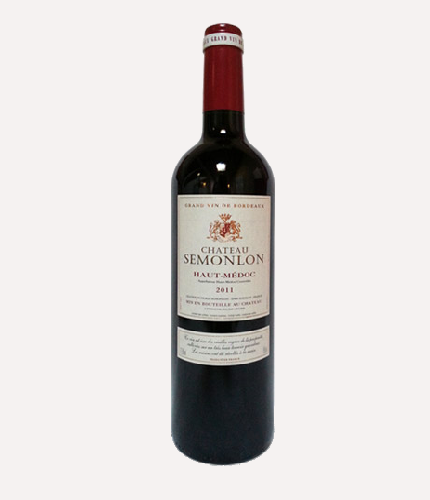 It is an elegant and supple wine with a good cabernet sauvignon fruit intertwined with spicy notes and mellow and slightly woody tannins.